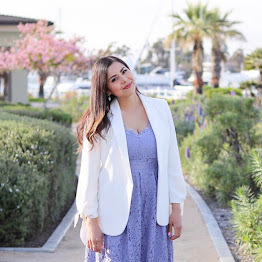 Let’s talk about two topics that I am passionate about on this blog: style and affordability, but today I’m giving it a spring twist with this look from JCPenney. 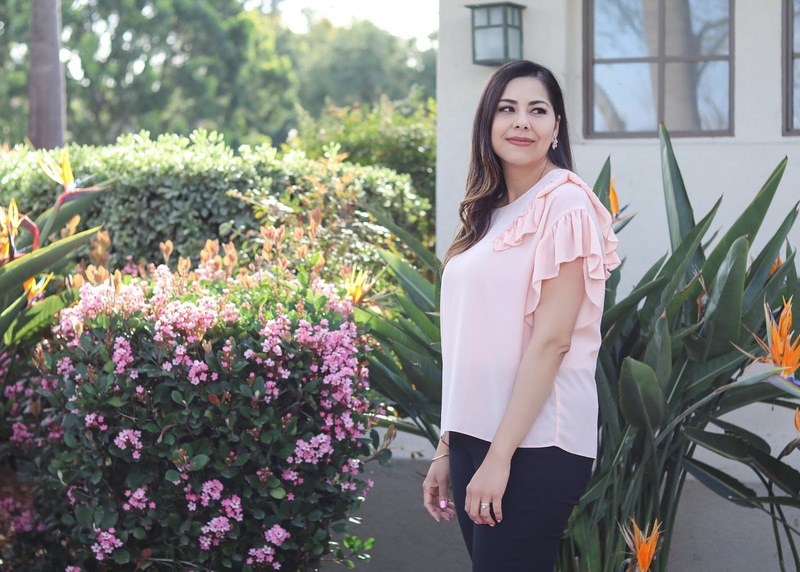 Ever since I started my blog I have emphasized that you don’t have to break the bank to look stylish and partake in the season’s hottest trends. 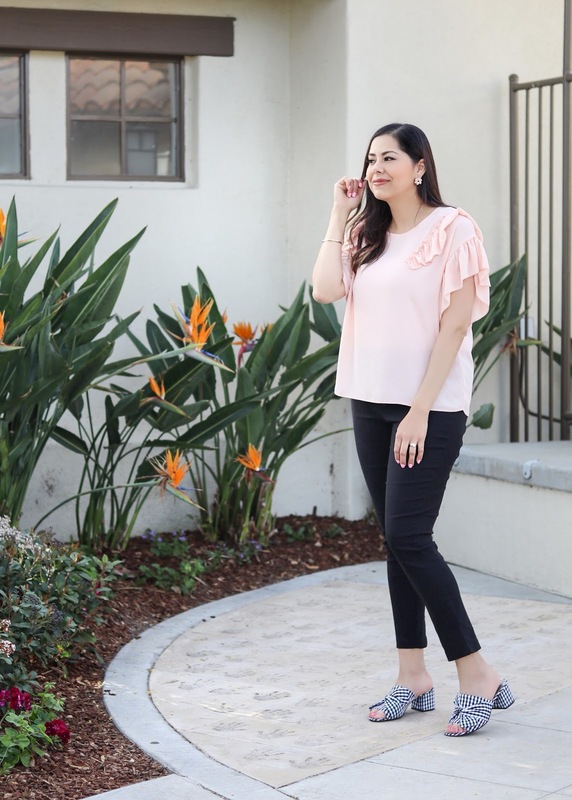 Case and point: This outfit where these stylish pieces from JCPenney (top, pants and shoes) rang in at under $100 total! Plus, you get more bang for your buck with these pieces because they are so versatile! This Libby Edelman short sleeve ruffle top, hits two trends this season: ruffles and pastels. The top also comes in a black floral pattern, both of which give the look a feminine playful vibe! Styling bonus: The top can easily be worn with a pair of jeans or tucked into a black skirt at the office. These Libby Edelman Millennium Pull-on pants are magical! Please allow me to explain. I ordered these on a whim because nowhere did it say they were leggings but it said that they are pull up, meaning no zipper or buttons. So I ordered them out of sheer curiosity AND also secretly hoping that I could wear these to work. Well, this curiosity purchase paid off because they actually look like work slack capris with the comfort of leggings! Styling bonus: These pants are staple-piece status because they go with pretty much anything, like any colored flowy top! Gingham is huge this season, and these JCPenney shoes allowed me to partake in the trend plus give the outfit a pop of pattern! Styling bonus: Pair these with a solid colored dress, or solid colored top and jeans. This outfit is just one example of the affordability of style at JCPenney. They offer a variety of products from great brands like Libby Edelman. Plus, don’t forget to shop their amazing sales and save some more! cha-ching! Love this look! That top is super cute.